The medieval village of Preci is situated at 596 meters above sea level and can boast a dense tourist frequentation during the summer period. Having been proclaimed Comune under the Papal State in 1817 under Pius VII, it was founded and developed during the Middle Ages. Lacerated during the following centuries by earthquakes and barbarian invasions, present-day Preci still is able to show the tourist its genuine atmosphere and the origins of times gone by. Its main industries are tourism and agriculture, but also the handicraft sector contributes to the town's economy. A touristic visit of Preci should begin at the top of the village where the Town Hall dominates the town's main square. >> Do you want to visit Preci? 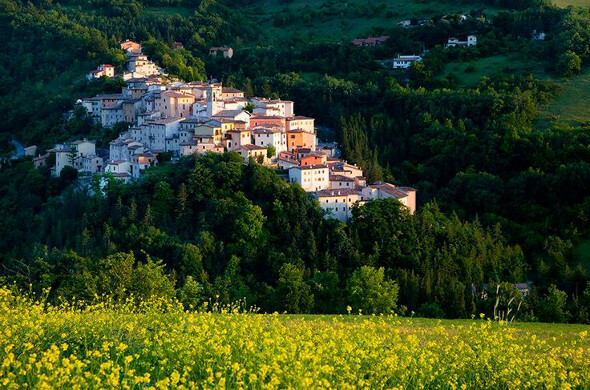 Check it out now of the best farmhouses and hotels in Valnerina. 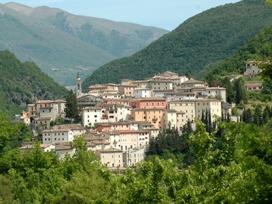 There are offers for hotels in the areas of Preci! Click and Consult them immediately. At the back of the square, the church of St. Catherine offers an impressive example of a Gothic portal, while other decorative ornaments of the Romanic style beautify the facade.Another noteworthy church is the church of St. Mary, with a pietà dating back to the 15th century and a 16th century baptismal fount. Leaving the historical town center, at only a few km's distance you'll find three townships of the Preci region; the small towns of Roccanolfi, Poggio di Croce and Montebufo,where the two Parocchial churches are of particular interest, rich as they are in 16th and 17th century paintings showing scenes from the New Testament. >> If you've decided to visit Preci you should contact now farmhouses in its vicinity >> click this link.